Customers often ask us what the difference is between all of the different book binding methods and why they should go for one over another. To help out here are some descriptions of our most popular book binding methods as well as the costs and benefits that each one provides. Saddle stitching is a common and economical book binding method. Two staples are inserted along the folded edge of the pages to create the spine of the book. 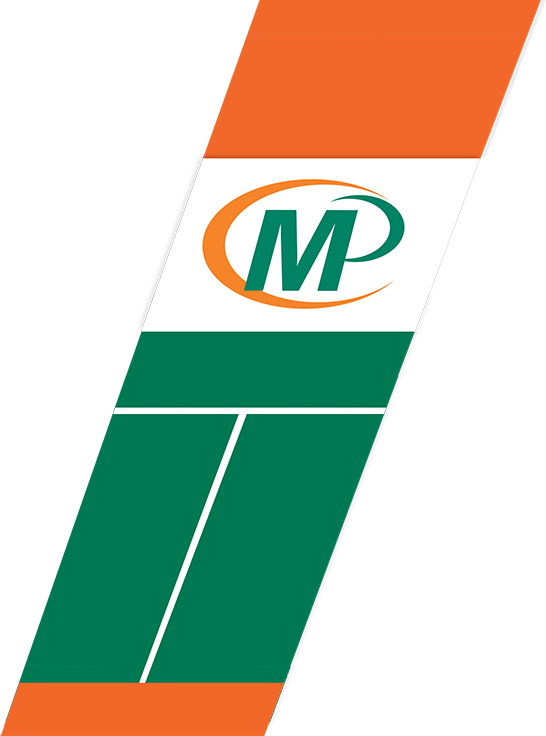 This method is used when producing booklets that are 60 pages or less. Perfect binding is the binding method that is used on most soft cover and paperback books. It is fairly inexpensive especially when done in larger quantities and looks very professional. Perfect binding is done by gluing the edges of the book’s paper inserts to the wraparound, which acts as the front, back, and spine of the book. Coil binding is an inexpensive binding method that is done by running a plastic coil through holes made in the book. This method of bookbinding allows the book to lie completely flat when open or the pages can also turn all the way around to the back of the book to make it easier to hold while reading. 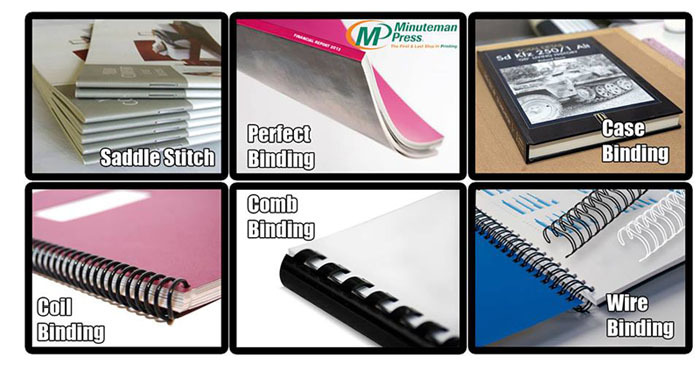 The ease of use of coil bound books makes this binding method great for workbooks, presentation materials, and manuals. Adding a plastic cover to your coil bound book will give it prolonged longevity. Comb Binding is slightly less expensive than coil binding, as there is less labour involved when putting the books together. Comb binding is great for manuals and books that need to lay flat when open but the pages are not able to be turned all the way to the back of the book as they are with coil binding. Wire Binding offers many of the same benefits as coil binding. The book is both able to lay flat when open and the pages can turn all the way to the back of the book. This is a very durable binding method that would work great for a variety of projects.